The developer bought two brownstones, tore it down, and re-built it into a condo with five apartments. 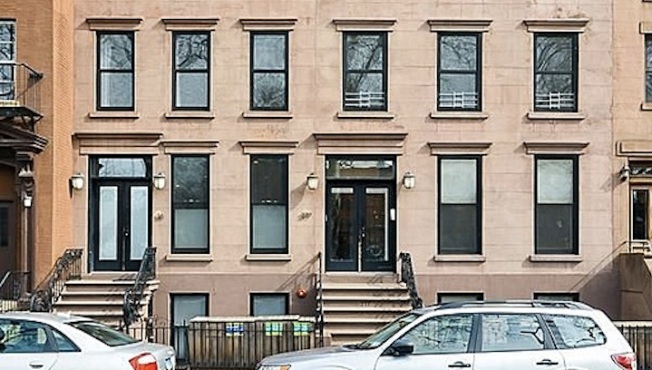 A condo record has been broken in Carroll Gardens, thanks to the contract for a condo spanning two brownstones for $2.4 million, reports The Observer. The home offers three bedrooms and 2.5 baths, and is forty feet wide. The developer reportedly bought two brownstones, tore it down to the shell, and created five apartments. The two buildings have matching light brown faces and perfectly aligning facades and cornices, reports The Observer, but they were not always that way. Before, they were similar, but certain aspects differed--for example, the windows did not align. The home now features five-inch wide plank oak floors, Caesarstone countertops, a pot-filler by the stove, and "hand-glazed subway tiles" in the bathroom. The Observer says that based on competing sales in the area, this record might not last, and it is yet to be seen if this price will hold. But for now, it's number one.